Valmont Butte, the striking rock formation just east of Boulder along Valmont Road, is revered by Native People as a sacred site and by descendants of European settlers who founded the town of Valmont and buried their dead in a cemetery at the butte’s base. People from both these groups want continued access to the butte. But part of the legacy of the butte is that it also became a mill for processing metals from the mountains as well as a dump for long-lived radioactive waste. The trouble with radioactive waste is that it’s highly toxic and doesn’t lose its potency for a very long time. 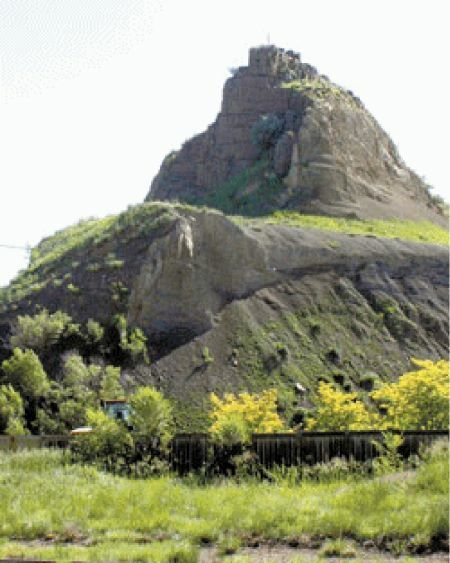 Though the butte belongs to the City of Boulder it is located outside the city limits. The city accordingly is asking the County Commissioners to OK its plans for cleaning up the site in preparation for its possible future use as a historic preserve with public access. The Commissioners should postpone approval of the city’s plan until everyone affected learns the truth about environmental contamination at Valmont Butte (VB). The city’s remediation plan is based on the Investigation Report: Identification and Confirmation of Soils Requiring Long Term Management, listed on the City’s VB web site by date, November 24, 2009 (http://www.bouldercolorado.gov/index.php?option=com_content&task=view&id=8093&Itemid=81; on this site see also the Limited Impact Special Use Review Application of March 29, 2011). The Investigation Report is badly flawed not so much in itself but because it simply repeats earlier failings of the City of Boulder but also of the EPA and the Colorado Department of Public Health and Environment (CDPHE, previously known as the Colorado Department of Health, or CDH). The following considers the principal flaws under two headings, documentation and liability. 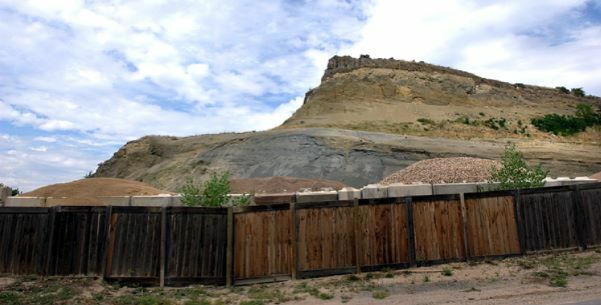 Over a period of about two years beginning in October 2007 we at the Rocky Mountain Peace and Justice Center, with other organizations (notably the Native American Valmont Butte Heritage Alliance and Rural Historic Valmont), repeatedly complained to the city that it was making plans about VB without considering all the pertinent evidence about environmental conditions at the site. The information to which we referred wasn’t difficult to come by. It had been uncovered at the Boulder County Health Department in the fall of 1998 by a group of undergrads taking an environmental ethics class at CU. Based on their report, which can be examined in full in the Environmental Center at CU, we compiled a chronology of key events in the history of contamination at VB (on line at http://archivesite.rmpjc.org/vb_chron). Using documents that were accessible to anyone, we informed city officials, including then City Manager Frank Bruno, of abundant data that were missing from the city’s web site. We urged the city to compile and make available to all interested parties a complete record of all documents having to do with ownership, use, inspection, and contamination of the VB property and nearby areas. In response the city finally posted to its web site documents in possession of the County Health Department that they previously had not listed and to which we had called their attention. The divide between those originally posted by the city and the more recently added “Key Documents from Boulder County Health Department” is evident on the city’s VB web site (http://www.bouldercolorado.gov/index.php?option=com_content&task=view&id=8093&Itemid=81). Numerous reports ignored by the city show that the VB site contained elevated levels of radioactivity; one report refers to levels 30 to 36 times background along the northern edge of the site. VB at times served as a disposal facility for wastes brought there from elsewhere. Radioactive material on the site was occasionally released off the site, so much so that in 1983 CDH was ready to charge VB operators up to $50 million per release. Radiation levels that today would not be permissible were at times measured in domestic wells across the road to the north of the site. Radioactive materials were at different times illegally released to waterways that made their way to Boulder Creek. CDH determined that the tailings pond at VB should be sealed and provided with an impervious liner to prevent seepage to groundwater. It is not clear whether EPA or CDH ever attempted to map subsurface migration of radionuclides at the site. In 1982 CDH proposed to EPA that VB be considered for cleanup under the federal Superfund program that applies to the most contaminated industrial sites in the country. There is not the slightest indication in the November 2009 Site Investigation Report that the evidence summarized above was considered in planning remediation of the VB site. Nothing is said about problems of off-site contamination or about the necessity of providing an impervious liner for the main tailings pond into which the city intends to dump the contents of a secondary tailings pond. Despite evidence that radioactivity at various levels is present both on and off the site, the Investigation Report treats radiation exposure as an incidental concern, as if determining exposure rates at three feet above the surface of the ground is a realistic indicator of risk to workers, nearby residents and others when actual remediation activities are underway. Finally, to say no more, the Report provides no hint that this site may qualify for Superfund cleanup. As noted above, the faults of the Site Investigation Report repeat previous faults made by the City of Boulder. When the city purchased Valmont Butte in 2000 for $2.5 million the city itself evidently also did not review the evidence summarized above. It relied instead not on the older EPA and CDH documents available across town at the County Health Department (and examined by CU students in 1998) but on more recent EPA and CDH (now CDPHE) documents. In 1999, just as the city was about to purchase the VB property, CDPHE reversed the record of its previous statements to declare that the VB site is now stabilized and that “no groundwater pathway exists” by means of which contaminants on the site could be transported off the site. One of the unexplained oddities about the record at VB is the discrepancy between what earlier EPA and CDH documents say about environmental conditions at the site and what later documents from these same agencies say. The city, for its part when it bought the property, evidently did not examine the earlier record but instead relied on the latter. The November 2009 Site Investigation Report that is the basis for the proposed remediation follows suit. Did this failure occur because of directives from city officials to the company that prepared the Report? Whatever the answer to this question, it appears that in purchasing the Valmont Butte property without first assessing the full documentary record regarding environmental conditions at the site the city failed the due-diligence test. This takes us to a second, closely related concern, the question of liability. There is no indication in the Site Investigation Report of who will foot the bill for remediation of the site. A review of the older set of documents would help the city identify the potentially responsible parties. Those documents contain the names of several companies that in some sort of rough sequence conducted operations at Valmont Butte. A company called Hendricks Mining had been responsible for activities at the site for about five years when CDH in 1982 posed the question whether Valmont Butte should be added to the Superfund list of most contaminated sites in the country. Documents still not posted to the city’s web site but reviewed by students in 1998 show that between 1987 and 1994 the property changed hands a number of times. Several times the sale price for shifting ownership from one company to another was the grand sum of $10. What kind of shell game was this and what is its bearing on financial liability? Back to the Superfund question, why did the Superfund issue get dropped, since determining “potentially liable parties” under Superfund is crucial for helping identify who will pay for an expensive cleanup? The sea change from viewing the site as highly contaminated to only minimally so that happened with EPA and CDPHE around the time the City of Boulder purchased the VB property of course greatly reduces the cost of the proposed cleanup. How did this change come about? Can we really believe that what CDH and EPA said earlier about conditions at the site now has no validity? This question needs to be resolved in part because as things now stand, so far as this writer knows, the financial responsibility for the cleanup at Valmont Butte rests squarely on the shoulders of the taxpayers of the City of Boulder, though I recently heard a city official say that negotiations on liability with unspecified parties are underway. Of course we the people of Boulder want an inexpensive cleanup, the simpler the better. But so of course do the polluters. I don’t believe Boulder citizens want a cleanup that to any degree will sacrifice public health or environmental integrity either now or for the long-term future. 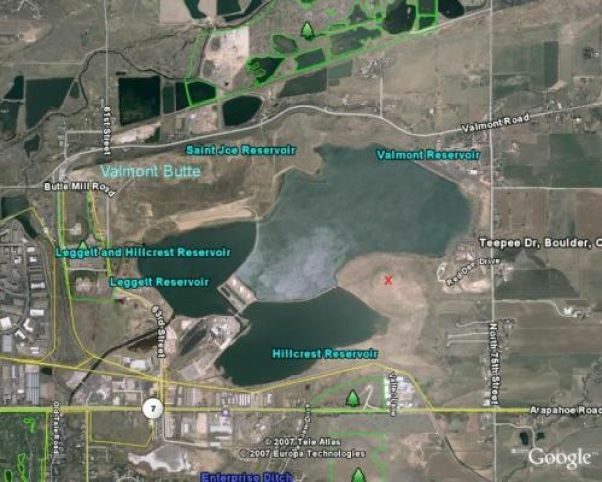 In actuality, we the people have a right to know the truth about conditions at Valmont Butte, on the basis of which we have a right to know what sort of cleanup should be done at the site. Finally, we have a right to know the parties responsible for the contamination and therefore for paying their share of the cost of whatever cleanup will finally happen. For the reasons I have cited, I urge the Boulder County Commissioners to put a hold on approving the City of Boulder’s planned remediation of its Valmont Butte property. The city, as well as EPA and CDPHE, have a host of questions to answer first. Once this is done and done in a wholly transparent manner, perhaps the matter of Valmont Butte can come back to the County Commissioners. It is a revered site, and it needs to be treated as such. Too late and too slowly we learn the high costs of our industrial civilization and how difficult is the path of human responsibility. So a piece of land loaded with toxic radioactive materials was sold and sold and resold to cover up its ownership… and the realtors HAD to know (as did the property owners). Sure sounds like ducking responsibility. Nice. How bone headed was this decision to buy the land by the City of Boulder? It’s not as if the history and controversy surrounding this area had not been known at the time. It’s unfortunate that polluters pollute and by the time anyone catches up with the polluters they’re long gone, changed ownership and/or simply can’t afford to pay the costs of their irresponsibility. Irresponsibility might be too kind a word to describe the actions of the companies involved.